We are delighted to have secured two internationally recognized integrative health researchers to spend a full day with our practitioner clients. Penny Kendall-Reed is a Naturopathic Doctor in Toronto, Canada. After graduating from McGill University with a B.Sc. in Neurobiology, she earned a degree in Naturopathic Medicine from the Canadian College of Naturopathic Medicine, where she received the Dr. Allen Tyler Award for Most Outstanding Clinician. In 2013 she was voted Naturopath of the Year by her peers and colleagues. Penny KendallReed is the co-author of 5 national bestselling books including The New Naturopathic Diet , Healing Arthritis, The No Crave Diet, The Complete Doctors Stress Solution and The Complete Doctor’s Back Bible. Penny Kendall-Reed travels throughout the world lecturing on neuro-endocrine and metabolic disorders, and more extensively on the intrepretation and treatment of single nucleotide polymorphisms or SNPS. She is one of 3 experts on the PURE Genomics website application helping to design and teach treatment platforms. She appears regularly on television, magazine and radio across Canada and the United States addressing various health issues. 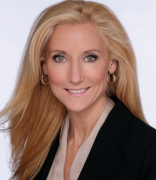 Penny KendallReed is an international medical consultant for Douglas Laboratories and Pure Encapsulations, creating product formulations and overseeing the neuro-metabolic department. She has also designed an all natural oral and topical anti-aging skin care line sold throughout Europe. Presently, Penny Kendall-Reed is the director of natural therapies at the Urban Wellness Clinic in Toronto. 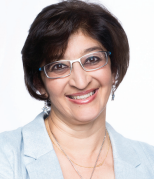 Vanita Dahia is an integrative medicine clinical consultant pharmacist, naturopath and clinical nutritionist. She is a board certified fellow in anti-ageing and regenerative medicine providing clinical training programs and educational initiatives to doctors and allied health practitioners; a functional pathology clinical consultant; health services manager and international speaker. Vanita is a medical authority and extraordinary mentor to her peers and patients alike. As a presenter to her peers and community at large, she is engaging and insightful, making learning a dynamic experience for professional and personal growth. This is a rare opportunity to learn valuable protocols from a combined 35+ years of clinical practice and research through two very special clinicians. We look forward to receiving your registration for this event. PART 1: Stress, Sleep and Metabolism: A genetic approach to the “terrible triad”. • HPA dysfunction is a major factor in metabolic dysfunction, obesity and insomnia. It is also the main cause of variant gene expression. To register simply complete this form and return to Nutrisearch by post, fax or email along with your payment options. Your certificate of attendance will be provided on the day including appropriate CPE hours. Email: info@nutrisearch.co.nz or phone our freindly staff at Nutrisearch to secure your seat.